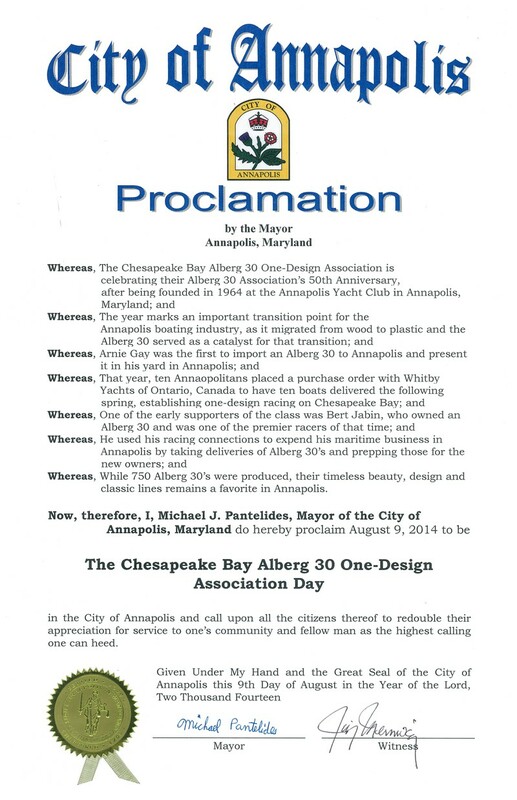 The 2014 sailing season will mark the 50th anniversary of the founding of the Chesapeake Bay Alberg 30 One-Design Association—the A30s. 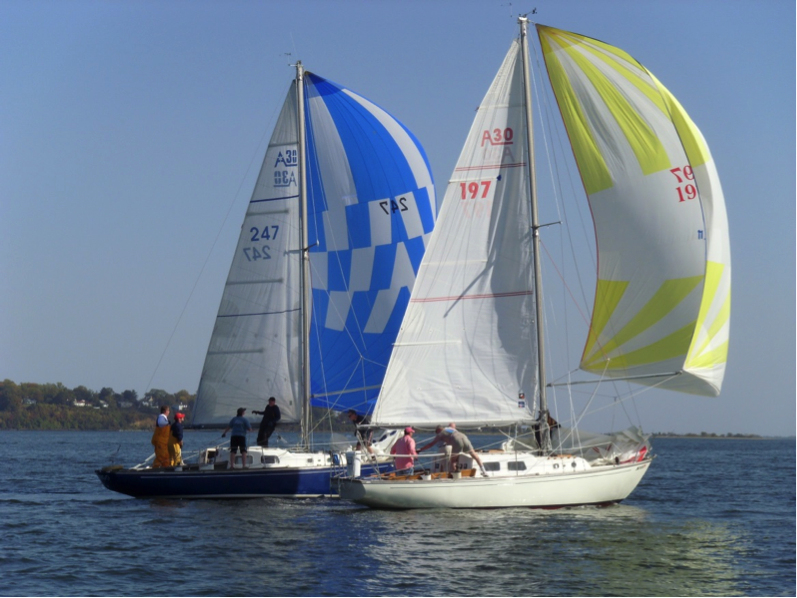 The association's charter is to promote family participation in both racing and cruising; the dual sailing pursuits being unique to the association and unequaled by any other one-design club in the Annapolis area today. Some of our racers today are third generation Albergers. The association was formed in 1964 when 10 local Annapolitans made a group-purchase of 10 Albergs. Delivery of the boats began early in 1965 and got the Association's first active season underway. In 1966, The Baltimore Sun stated: "The Albergs pioneered large boat one-design racing on the Chesapeake" in the Sunday edition of the newspaper. In addition to the racing, the club began its cruising legacy when 8 of these new boats, with families, headed up to coast to attend the New York World's Fair. Thus began a 50 year love affair with the pursuit of all that sailing offers, magically choreographed by the allure of our Chesapeake Bay. Today membership stands at 250 member-families with Annapolis being the center of activity. The Alberg 30 truly has a unique place in Annapolis's nautical history.